Tweet: 11 Kickass #KejriMovies Tweet Trending On Twitter. 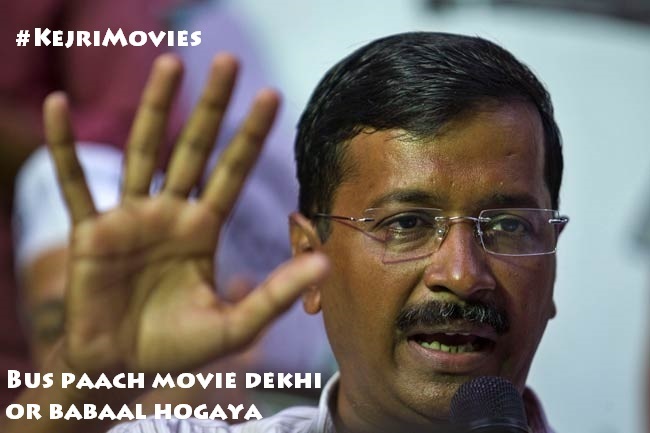 11 Kickass #KejriMovies Tweet Trending On Twitter. Here we are sharing 11 Kickass #KejriMovies Tweet Trending On Twitter. #KejriMovies that's all he does..watches movies...no wonder AAp ads r soooo filmy.."hamara Arvind"..straight out of a C-grade tearjerker! #KejriMovies Before Election (to Voters)'Hum AAP ke dil me rahate hai' After election 'Hum AAP ke hai kon' .